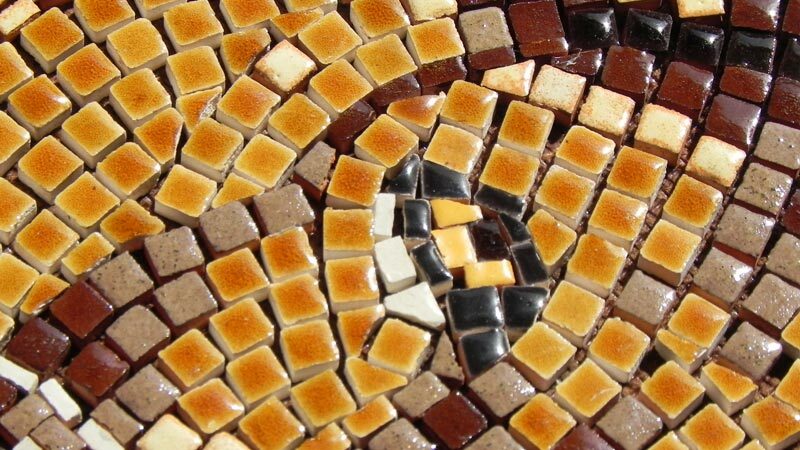 Since over tow thousand years ceramic fragments are part of mosaics. 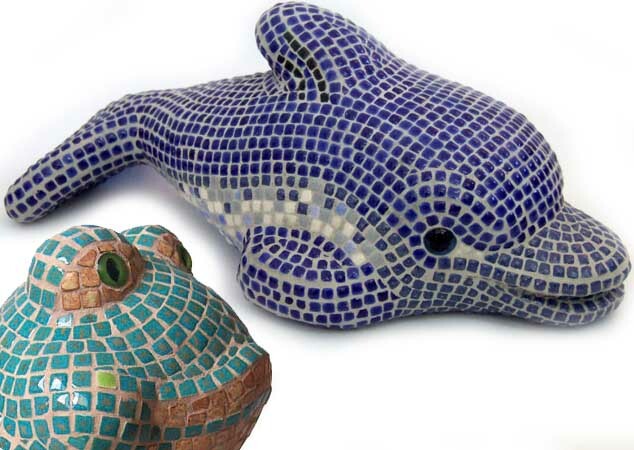 Ours are not fragments, but formed fired and glazed in their definitive shape. 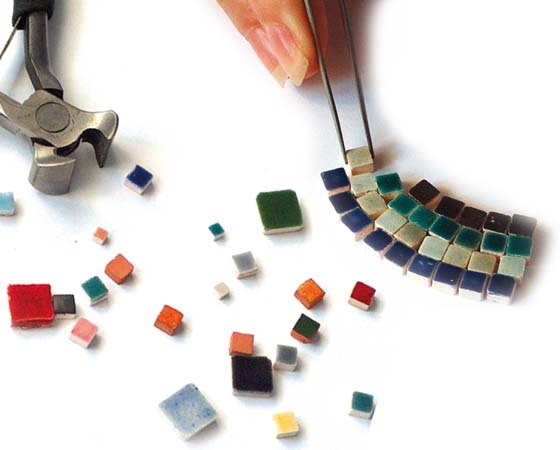 You could call them the smallest ceramic tiles produced in the world. 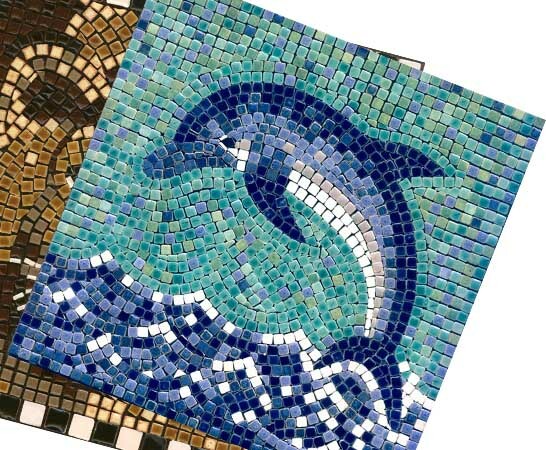 Assemble these mosaics using tweezers and real, 5x5mm wide ceramic tiles; two adhesive templates let pieces be quickly place, easily repositioned and allow the project to sit in between sessions. 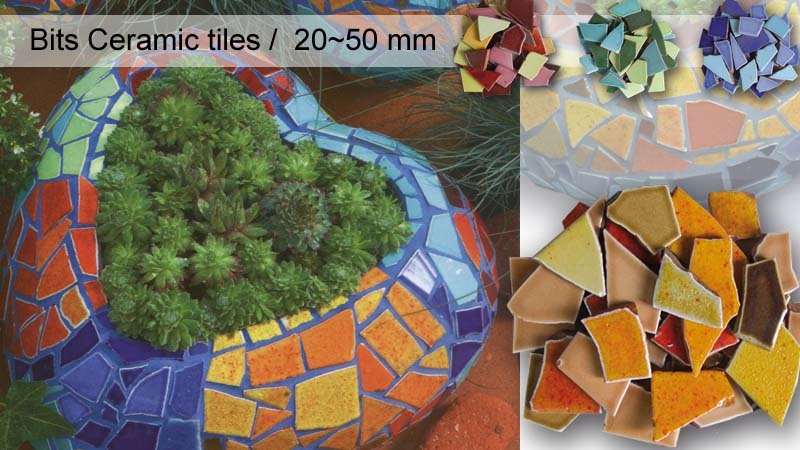 Very easy to make, with spectacular results Transform a simple polystyrene figurine into a true sculpture, with ceramic micro tiles inspired by Gaudi Contents: Frog polystyrne sculpture -Ceramic tiles -Eyes -White glue -Grouting mortar -Instructions.